Gary L. Wells, Ph.D., is Distinguished Professor in Psychology and the Wendy and Mark Stavish Chair in the Social Sciences at Iowa State University. He has research interests in social and cognitive psychology, especially where they relate to the interface of psychology and law. Most of his work in recent years has been directed at eyewitness testimony with an emphasis on how to improve the accuracy of such testimony. 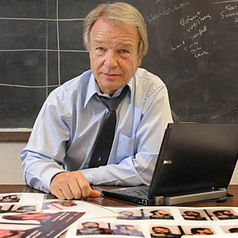 He has published over 150 scientific articles on eyewitness identification and his recommendations for improving the reliability of police lineups have been adopted in many states and individual police jurisdictions across the country.